What Does Code P0446 Mean? OBD II fault code P0446 is a generic code that is defined as “Evaporative Emission System Vent Control Circuit”, and is set when the PCM (Powertrain Control Module) detects either a fault/defect/malfunction/failure in the EVAP (Evaporative Emissions) vent control valve and/or its control system, or, a restriction / blockage in the EVAP vent valve that prevents the flow of atmospheric air through the valve. 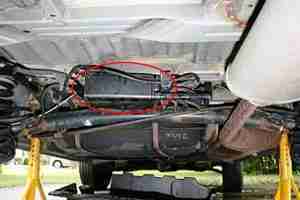 The purpose of the EVAP system on all applications is to trap, and contain fuel vapors within the system until engine-operating conditions are such that the trapped vapors can be transported to the engine to be combusted as part of the air/fuel mixture. While design specifics vary, EVAP systems generally consist of the fuel filler cap, the fuel tank, various flow and pressure sensors, purge and vent valves and their associated solenoids that are electronically controlled, a charcoal canister, various pipes, hoses and vacuum lines, and electrical wiring. When the EVAP system is not in purge mode, both the vent and purge valves are closed, which has the effect of sealing the fuel system off from the atmosphere. As the fuel generates vapors, the vapors are absorbed by the activated charcoal in the charcoal canister, until the vapor pressure approaches a predefined limit. When this happens in a fully functional system, the ECU opens both the purge valve and the vent valve to allow engine vacuum to draw the accumulated vapors into the engine. Note that the purpose of opening the vent valve is to allow atmospheric pressure to assist in “pushing” the collected vapors from the charcoal canister. However, since a fully functional EVAP system is a legal requirement in most jurisdictions, car manufacturers have developed various strategies to detect leaks in the system. One such strategy is to open the purge valve while keeping the vent valve closed while engine vacuum partially evacuates the system. Based on how fast the vacuum decays after the purge valve is closed, the PCM can calculate the size of the leak. Another strategy involves using a dedicated air pump to pressurize the system (while keeping all valves closed) to a predefined maximum pressure. Based on how fast the pressure drops after the pump is deactivated, the PCM can also calculate the size of the leak. Another strategy involves the Ideal Gas Law, which states that the temperature of a given volume of gas (fuel vapor, in this case) will decrease by a predictable amount when the pressure of the vapor decreases. Based on the change in the vapor’s temperature, the PCM can calculate the size of the leak. While the presence of a leak in the EVAP system will generally not affect drivability, a leak will cause code P0446 to be stored and a warning light to be illuminated. The application may also not pass a compulsory emissions test. So why does code P0446 affect some Toyota applications more than others? While code P0446 can afflict any application, many Toyota applications that include Camry, Corolla, Avalon, RAV4, Tacoma, Tercel, as well as Lexus RX 300, ES 300, SC 400, LS 400, and LX 450 models are particularly susceptible to this code. The primary reason for this is the fact that the activated charcoal in the EVAP canisters of these applications tends to crumble and disintegrate, which can cause blockages primarily in the vent valve, although charcoal particles can migrate through hoses and vacuum lines to cause blockages elsewhere. Therefore, the only reliable remedy for code P0446 on these applications is to replace the charcoal canister and vent valve as an assembly, and to remove and purge all associated hoses and vacuum lines in the EVAP system of all charcoal particles with compressed air before returning the vehicle to service. Where is the P0446 sensor located? 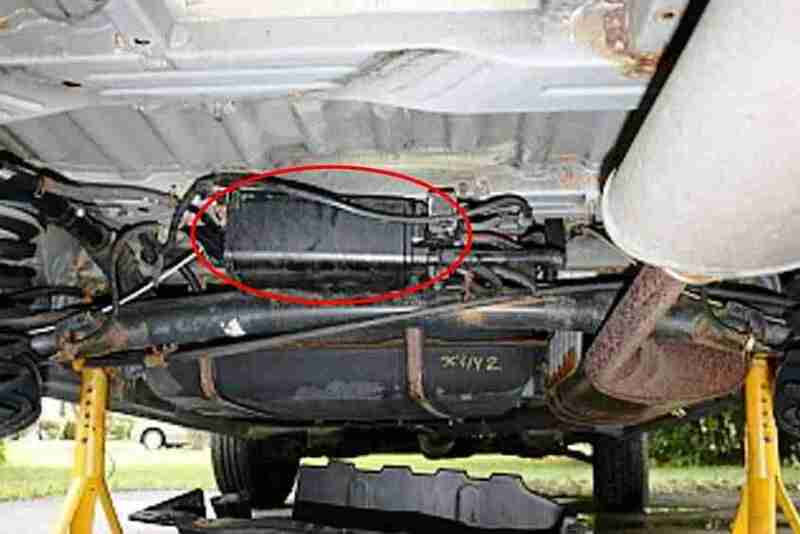 The image above shows the location of the EVAP charcoal canister (circled) on a Toyota Sienna application. Note however that the actual location of this component varies between affected Toyota applications, so refer to the manual for the affected application to locate and identify the charcoal canister correctly. What are the common causes of code P0446? 2004 Toyota Sienna Van Diagnostic codes P0441? ?